The semi-continuous oil refinery process design is based on batch type but higher than batch type. 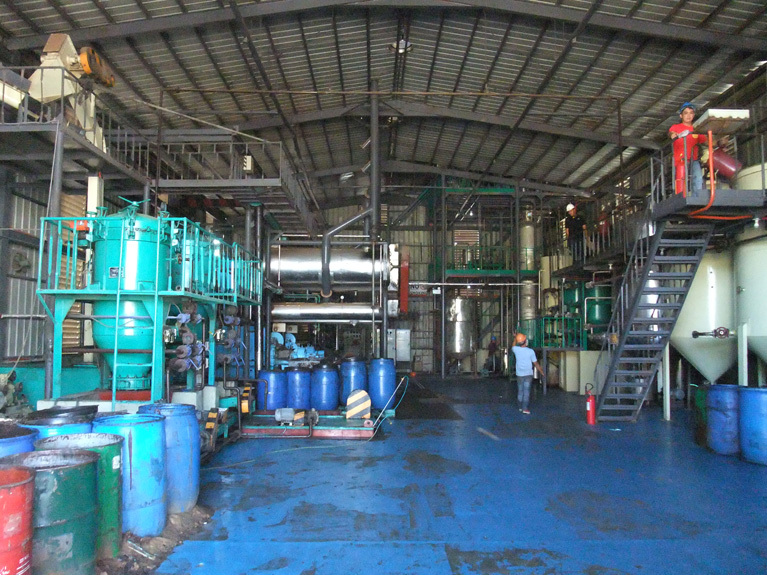 Compared with batch oil refinery line, semi-continuous oil refinery process is more efficient. 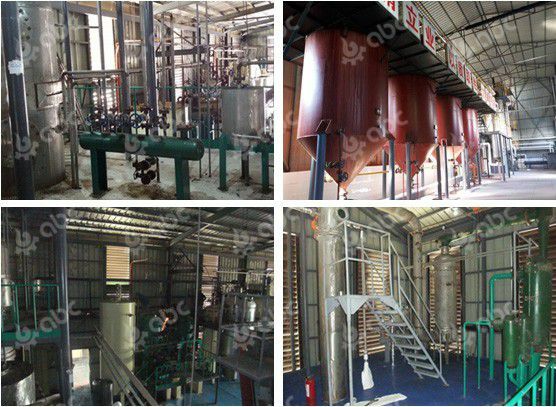 At the same time compared with fully continuous oil refinery plant, Semi-continuous oil refinery process needs less investment cost. 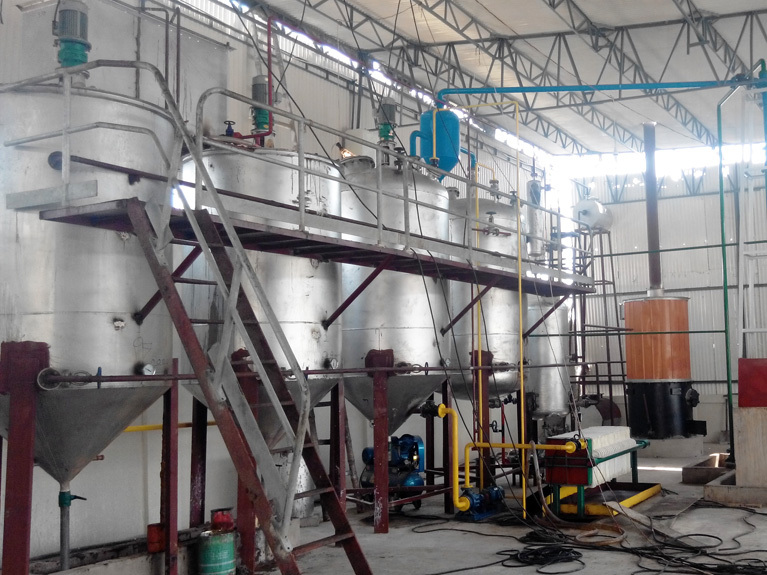 The semi-continuous oil refinery capacity can be designed according to customer requirement. It’s suitable for the middle type oil refinery plant from 10TPD to 50TPD. So it is also called middle scale oil refinery unit. 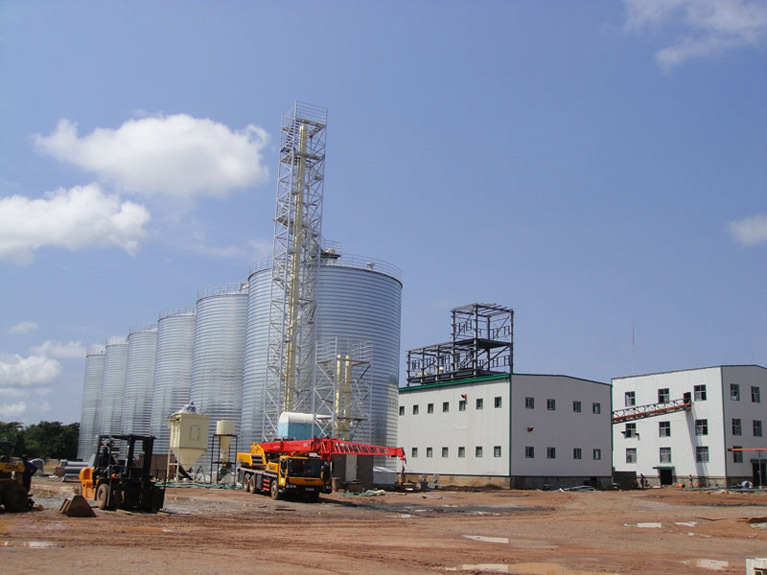 The semi-continuous oil refinery plant has widely scope of raw materials. It can deal with different kinds of oil. 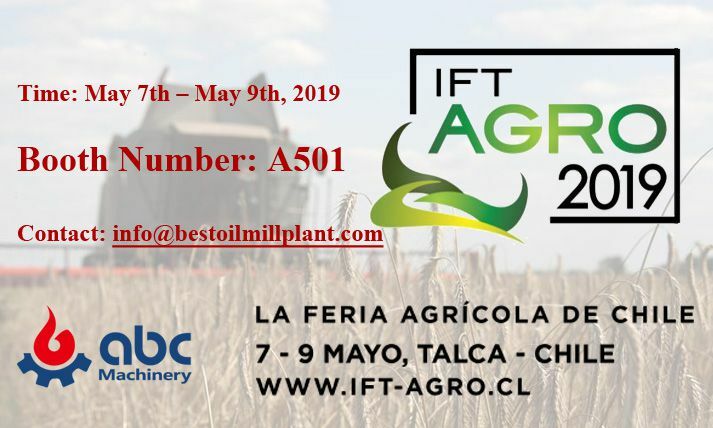 Vegetable seed oil: cottonseed oil, sunflower seed oil, soybean oil, peanut oil, palm oil, coconut oil, chiaseed oil, etc. Fruit oil: Grape seed oil, palm fruit oil, olive oil, avocado oil, etc. Animal oil: Fish oil, seal oil, etc. 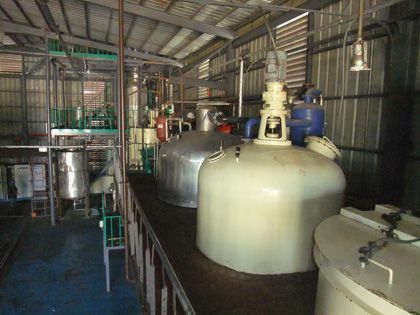 Refining section: used for P-acid de-gumming, alkali refining de-acid and water rinsing. Decoloring section: used to remove pigments, bleaching oils and grease dehydrate. Deodorizing section: to remove the odor components off oil. Dewax: used to remove the wax off the oil, in order to get the high quality oil. Heat-transfer oil stove: supply each device that needs heat energy; temperature can reach above 280°C. Steam generator: produce steam for de-odoring and distillation. 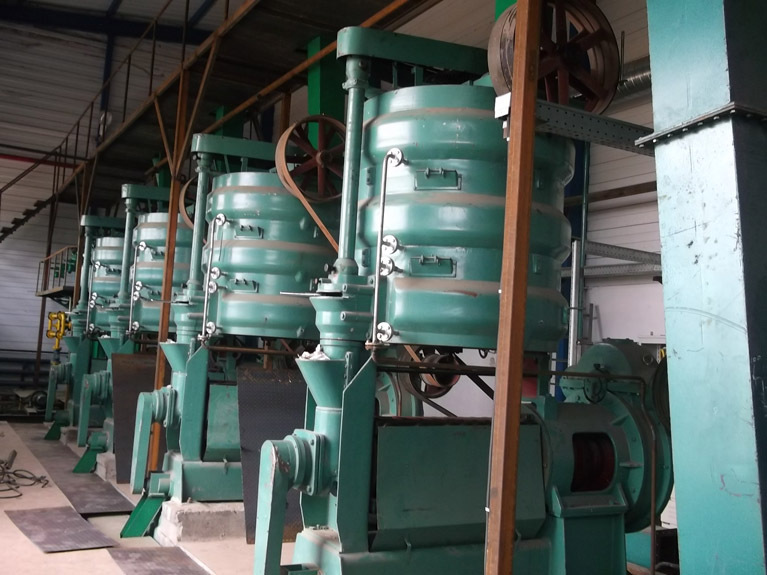 Vacuum pump: supply vacuum for dehydrate, de-color, de-odor. Vacuum degree can reach above 755mm Hg.